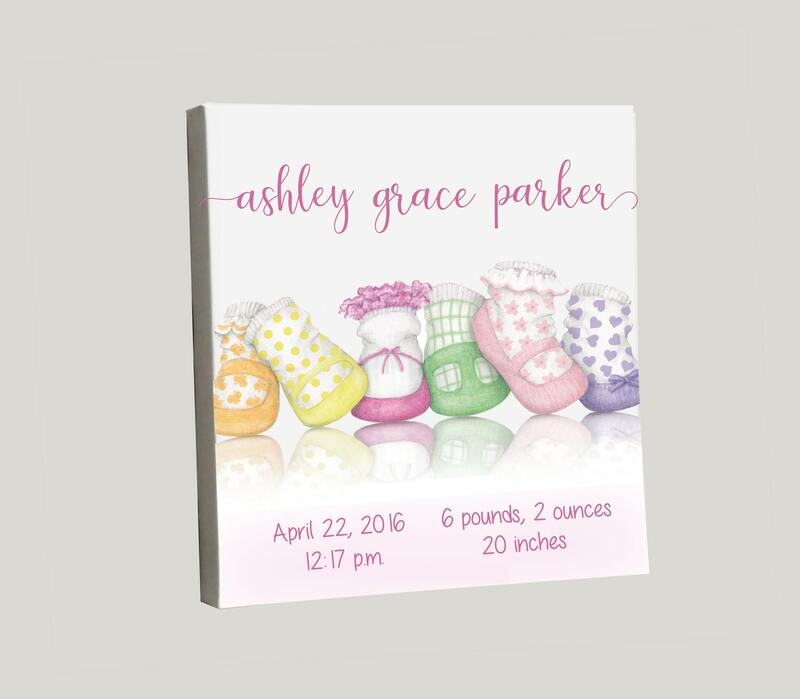 Our stunning, personalized baby girl birth announcement that print a stretched, white canvas using archival ink will be a beautiful addition to any nursery that will serve as a memorable keepsake in the years to come. Included are the baby's stats (name, date of birth, time of birth, height, length). This is the perfect gift for new parents that makes any nursery even more special. This will be a stretched canvas with the design wrapping around the sides of the wooden frame. We have many sizes available. Please make your choice in the drop-down menu on the right. Please provide this information in the "Notes To Seller:"
-There are two design from which to choose. 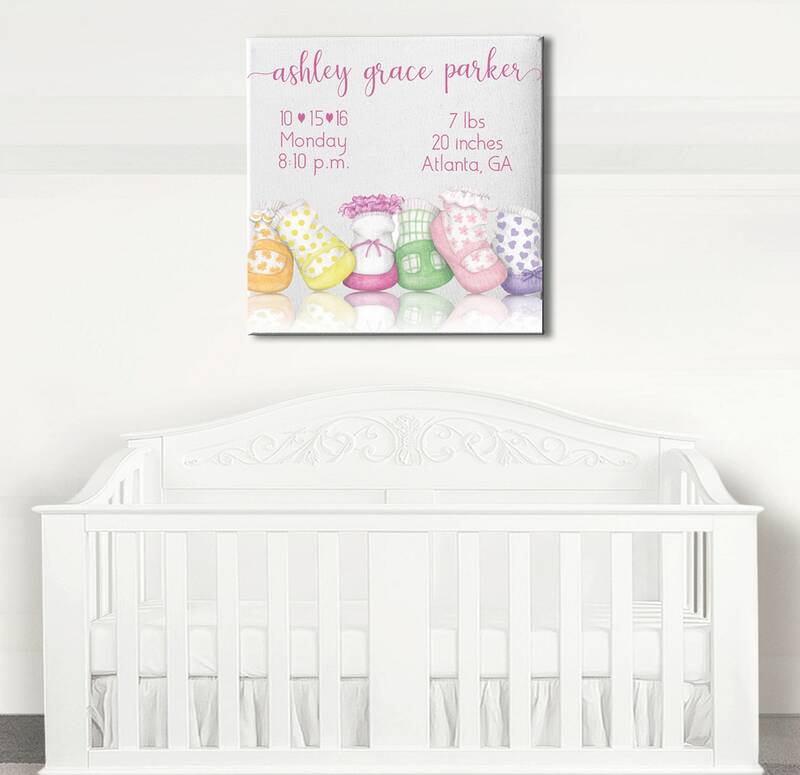 Design 1 has the birth stats in the middle (photo with the canvas above the crib. Design 2 has the birth stats at the bottom of the canvas.